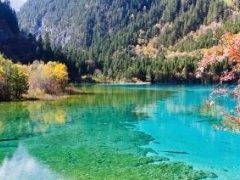 For $38, you get a 5D4N Jiuzhaigou Guided Tour with Hotel Stays, Meals and Land Transfers for One Pax (worth $288). For $68, you get the above for Two Pax (worth $576). For $178, you get the First Option for Six Pax (worth $1728). For $258, you get the First Option for Ten Pax (worth $2880). 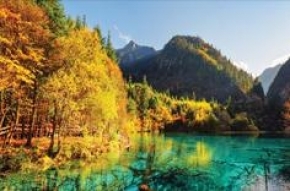 Nature and nostalgia are the highlights of this 5D4N tour, with pit stops at popular scenic locations such as the beautiful Jiuzhaigou Nature Reserve. Upon arrival at Chengdu, guests will be transported to designated hotels, allowing post-flight nerves to settle down. The tour begins proper on the second day where participants get whisked to Jiuzhaigou. The majestic Jiuzhaigou Nature Reserve, flanked by forested mountains with perpetual snow caps, awaits the arrival of eager tourists. Etched with numerous rivers which plunge down bizarre waterfalls and finally converge at scenic lakes, this well maintained land is the ideal place for landscape photography or simply to soak in fresh, untainted air. From one picturesque location to another, cameras won't get any down time as the group proceeds to Jingli Antique Street in Chengdu on the third day. Wall to wall along the two sides of Jingli Antique Street are buildings built in the style of The Qing Dynasty. The shop keepers, waiters and waitresses are all dressed in traditional clothing of that era, making this street feel to visitors as though they have stepped back in time. Handicrafts and popular Sichuan cuisine like Kung Pao chicken are readily available at every corner, so get your cash (and stomachs) ready. Day four welcomes tour takers to Huanglongxi Ancient Town, an old community that retains much of the traditions from the past. Meandering alleyways lead to many surprises along the way, from sturdy temples to restaurants overlooking theÂ Huanglong River. Like Jingli Ancient Street, this town preserves the architecture from the Qing Dynasty and has now become a hotspot not just for tourists, but for many film makers as well. The tour culminates on the fifth day at Chunxi Road, a shopping belt for last minute hoarding of souvenirs orÂ local delights for those who are constantly peckish.